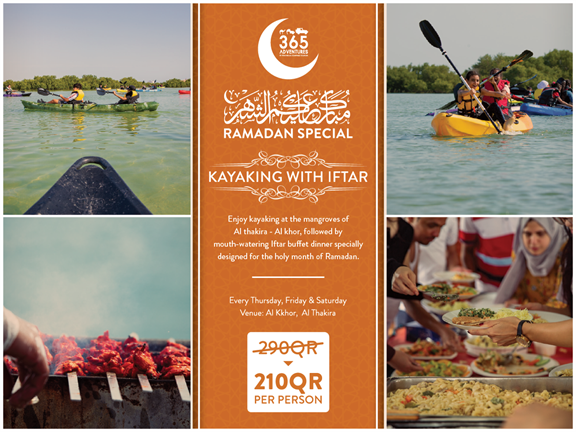 Please make sure to arrive in Al Meera, Al Thakira 30 Minutes before time. We meet at Al Meera supermarket, you'll get to follow us by your cars to our launching point (20 minutes drive). For more details, you may call 33393323. Kayaking - May vary depends on the tides. It can be before or after Iftar. Come 30 minutes before the scheduled time.